Best Bentonite Clay is historically known for its highly absorptive and adsorptive properties and its ability to draw out and bind. The Best Bentonite occurs in Wyoming. 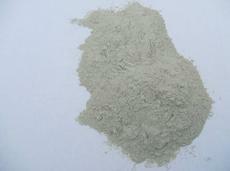 It's also known as western or sodium type bentonite. This type of Bentonite is capable of absorbing 7 to 10 times its own weight in water, and swelling up to 18 times its dry volume. Because of it's unique properties and characteristics, Wyoming Bentonite is the standard against which all other bentonite in the world is measured. And that's why it's the only bentonite that we use. THIS IS NOT A DRUG.​ And I AM NOT A DOCTOR. I cannot prescribe, diagnose, or say you can use this mineral to treat or cure any condition, And The statements on this site and our products have not been evaluated by the Food and Drug Administration. This product is not a drug and is not intended to diagnose, treat, cure, or prevent any disease. And we are not selling this product for the purpose of human consumption. This Bentonite Clay is a #200 mesh fine powder. I use the 200 mesh just because to me; "They both are finer than baby powder and once the clay powder is mixed well with water, it's all mud anyway"
But that's just my opinion. It just seems like common sense to me. I can tell you that a lot of my customers have told me that this is the best clay they have ever used. Disclaimer: Best Bentonite has not been FDA approved as a treatment or cure for any health problem. We do not represent it as such on this site. You must determine whether bentonite clay is something you should pursue. We are positive that our bentonite clay is 100% pure bentonite clay with no other additives and are guaranteed the highest quality. However, we do not endorse anything on this site as a medical treatment or fact.